Saudi Arabia is the largest domestic aviation market in the Middle East. 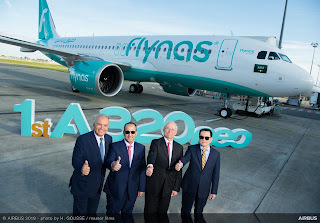 Since its inception in 2007, Flynas has set ambitious growth plans that continuously develop its fleet in order to carry more passengers. In 2017, the airline carried more than 6.4 million passengers and over 3 million passengers during the first half of 2018. 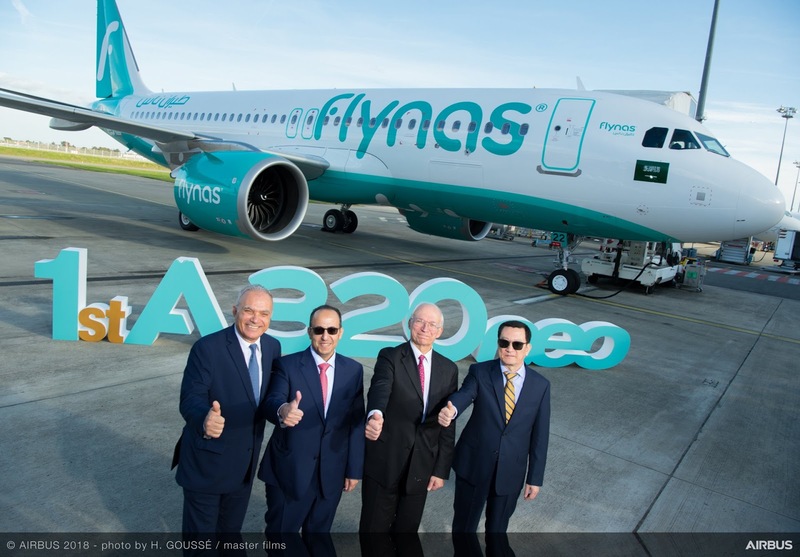 Pictured above are from left to right: Fouad Attar, Head of Commercial Aircraft, Airbus Africa & Middle East; Bandar Al Mohanna, CEO of Flynas; Didier Evrard, Executive Vice President Programmes, Airbus Commercial; Huang Bo-Chief, Commercial Officer, CMB Leasing.